Is the first success story of the new Town and Country Planning act? East London pub and music venue The George Tavern has won its legal fight to have a controversial planning decision, which would have allowed new flats to be built in close proximity, overturned in the UK’s Court of Appeal. However, the 150-capacity venue emphasises that “the battle continues”, as the defendant – Greg Clark, the secretary of state for communities and local government – has already appealed the decision. Barrister Annabel Graham Paul, representing The George, says: “This judgment shows the courts really are prepared to protect grassroots music venues in London and warns planners not to take a one-size-fits-all approach. [The George landlady] Pauline Forster has battled tirelessly to save The George Tavern and this is fantastic result for her – and for grassroots music venues further afield, too”. The proximity of the proposed to the 600-year-old, grade II-listed George Tavern would have meant the venue would not be able to host live music. Nick Cave, Plan B, John Cooper Clarke, The Magic Numbers and Kodaline have all performed at the George in the past. 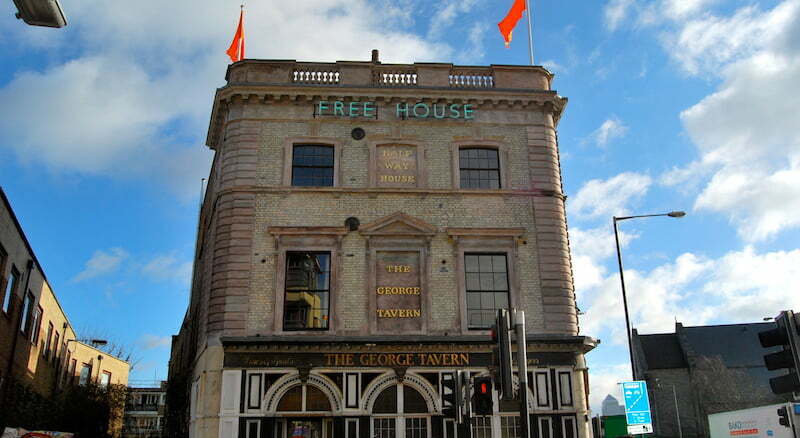 The nine-year Save the George Tavern campaign has won the support of a number of artists and celebrities, including Kaiser Chiefs singer and The Voice judge Ricky Wilson, Olympian diver Tom Daley, models Kate Moss and Georgia Jagger and actor Sir Ian McKellen.